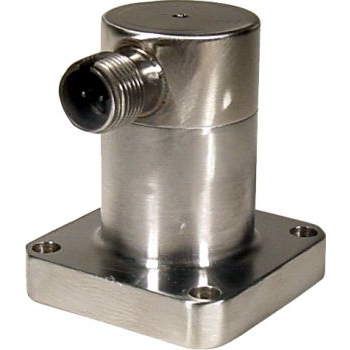 CEC Vibration Products 4-137 Vibration Sensors offer a technology breakthrough in velocity output vibration sensor design. CEC’s 4-137 Vibration Transducers offer a technology breakthrough in velocity output vibration transducer design. These transducers use a special advanced technology bearing system that extends their service life. Yet, this design preserves the simplicity and reliability that is typical of CEC’s self-generating, low impedence vibration transducers. We designed the 4-137 Vibration Transducers for turbine applications. Use them in hot sections where high temperatures cause problems with other instruments. They simplify your system because low impedance, high level output does not require special amplifiers or low-noise cables. They have low sensitivity to transverse accelerations, and you can mount them in any plane. Their rugged construction and new bearing system insure high reliability and long service life. These instruments are especially valuable where space is limited. They adapt easily to your installation because models are available in a variety of mounting configurations and sensitivities. CEC 4-137 Vibration Transducers use a seismic mass magnet that moves on special ceramic bearings. A coil is attached to the case, and movement between the magnet and coil produces the output signal when the case vibrates. This air damped system operates above its natural frequency so the mV output is proportional to velocity.